The Block changes every week, and there have been some really cool designs to be featured, but nothing like this one. Created by YouTuber Prudiz, the design is absolutely nuts. The core features of the design are two creatures made out of ice. The first is a scorpion with glowing red eyes that makes up the main part of the stage. 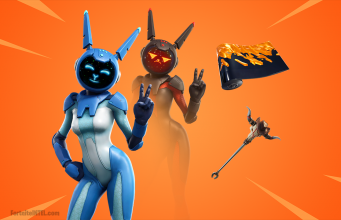 Houses and structures litter its back featuring chests and looting materials. Lording over the scorpion is the king. Rocking an ice crown with two jump pads on the back of its head, the King doesn’t seem to be as accessible as the scorpion because the mountain makes up most of the structure. The design elements on it are breathtaking, it holds a massive icicle that looks poised to destroy everything in the town and has so many razor sharp teeth they were tough to count. While the King may not provide much loot, it gives the space its amazing character design. For people focusing on the practicality, the scorpion below should have a fair number of chests, although that is not controlled by Prudiz and Epic has made multiple blocks ineffective because of lack of loot. One potential issue with this design appearing on The Block is the amount of available materials. With the main portions of the design being made of ice and a lot more being rock that can’t be harvested, finding materials here could be a challenge. To help fix that issue it wouldn’t be a big deal to scatter pallets around the map and add some more material options. This is the second map Prudiz has created using this style. 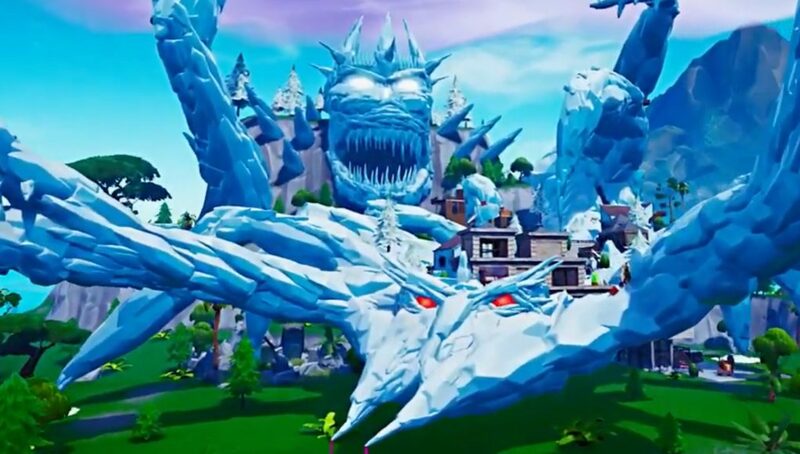 Back in January they also created a giant Ice Dragon that became popular on Reddit. That dragon was not featured on The Block so Prudiz is back again with another insane design. The code for this new map is 4142-4175-5485 so people can go try it out even if Epic never gives it the official spot.